Jurgen Klopp has confirmed that Liverpool are not looking to replace Philippe Coutinho in January, as deadline day fast approaches. Coutinho joined Barcelona for £142 million earlier in the month, and the club’s decision to allow him to leave was criticised by many. Supporters were at least buoyed by transfer rumours linking Liverpool to top replacements such as Thomas Lemar and Riyad Mahrez, but nothing has materialised. 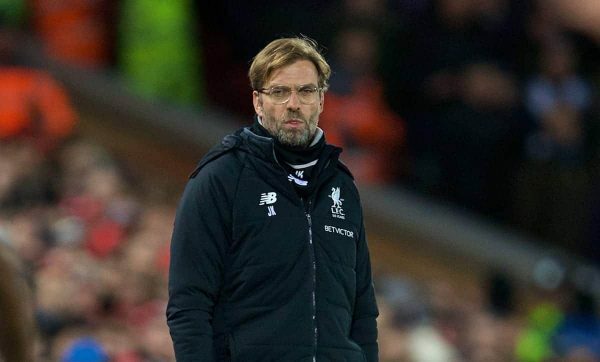 And it looks as though that’ll continue to be the case, with Klopp stressing he is not looking to bring in a Coutinho replacement, focusing on the players he has instead. “Phil Coutinho is not to replace in this transfer window,” Klopp told reporters in his pre-Huddersfield Town press conference on Monday. 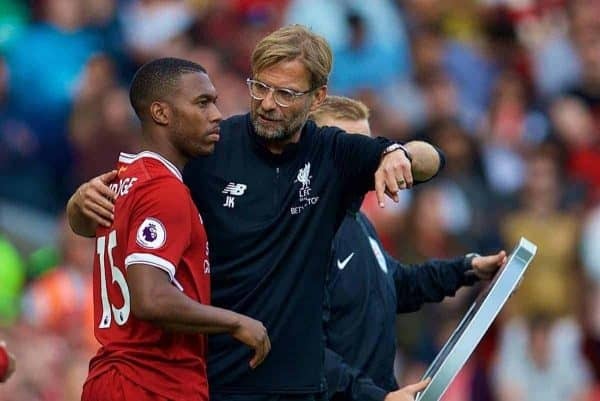 The manager also spoke about reports stating Daniel Sturridge will join Newcastle United before the transfer window closes, following five years at Anfield. “A lot will happen in the transfer market in the next few days and we will see what happens here,” he added. When Klopp says “a lot”, it makes you wonder if he is referring to business at Liverpool, or more of a generalisation. Hopefully, it is the former; not bringing in anyone else before Wednesday’s deadline, and failing to replace Coutinho and Sturridge, will not go down well with supporters. Klopp appears to be taking a huge risk between now and May, and if injuries to key players arrive, a top four finish could become unlikely. Liverpool cannot afford to miss out on Champions League football, having only just returned to Europe’s top table.